In addition to our classic framing styles, we offer acrylic face-mounted prints. The paper print is mounted onto a rigid sintra or dibond backing and 1/4 inch ultra-clear acrylic is bonded to the front. An metal brace is attached to the back of the photo which floats the entire piece from the wall. 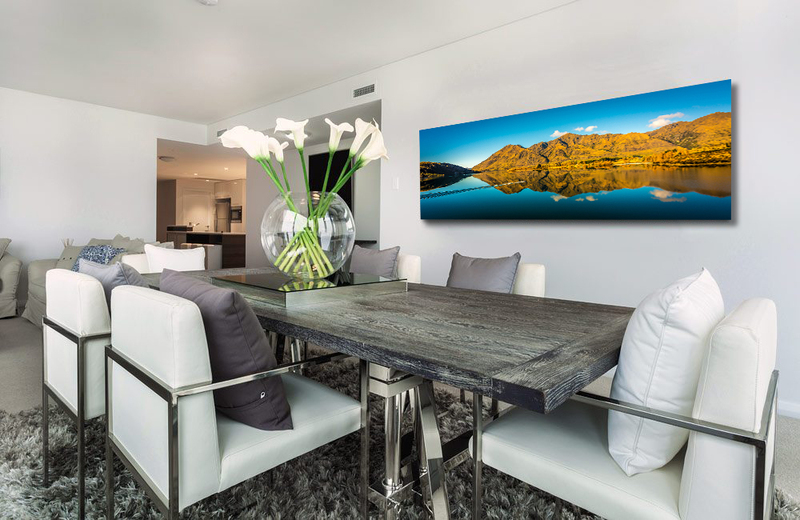 Acrylic face mounting will give your artwork a clean, contemporary look and is the display method of choice for many high-end photography galleries. Metal printing is a revolutionary new process which offers maximum sharpness and detail from our fine art photos. In this process the photo is printed directly to metal plate and fused with heat to form a durable, scratch resistant high-gloss finish. Three framing styles are offered for our metal prints: recess framed, framed to edge, and float framed.